I believe this gun has been in the last two sales . Strictly, my old Manton is in (temporary I hope) retirement. I have never shot it (as far as I know - I did shoot a couple of my godfather's muzzle loaders years ago, but not I think this one), but my godfather (who gave it to me) used to shoot walked up grouse over a pointer with it, and I have had it fully checked and it is in good usable condition. As mentioned earlier in the thread, to use them, the MUST be on your certificate, and this is on mine. 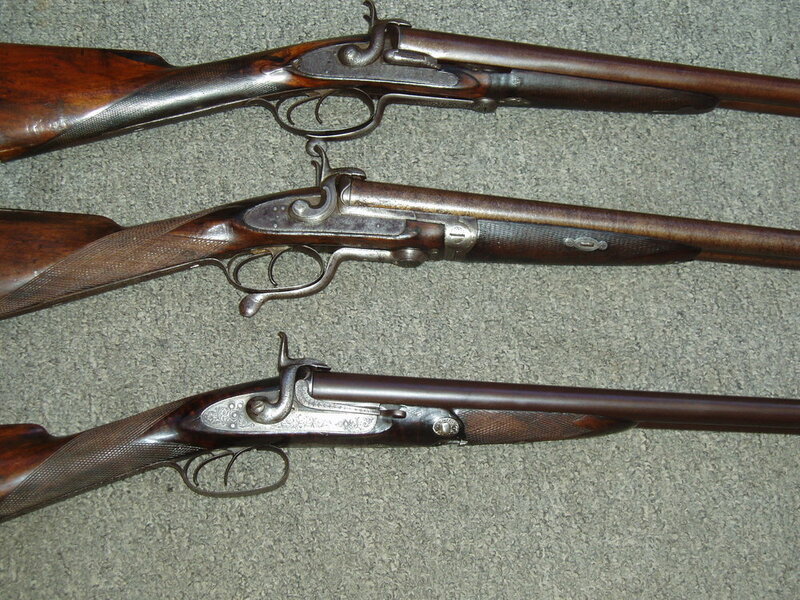 If the gun is good condition be it flintlock , percussion, or breech loader there are still used by groups of muzzle loaders for both clays and game shooting ,which must be entered on a S. G. Certificate it is living the past. still use my 1891 William powell hammer improved and half with impax 6's in the hide every now and again. I am well aware that lots of pinfire shotguns were converted to centrefire, thanks. I think you have missed the point of the thread somewhat! Explain how it was not my intention.